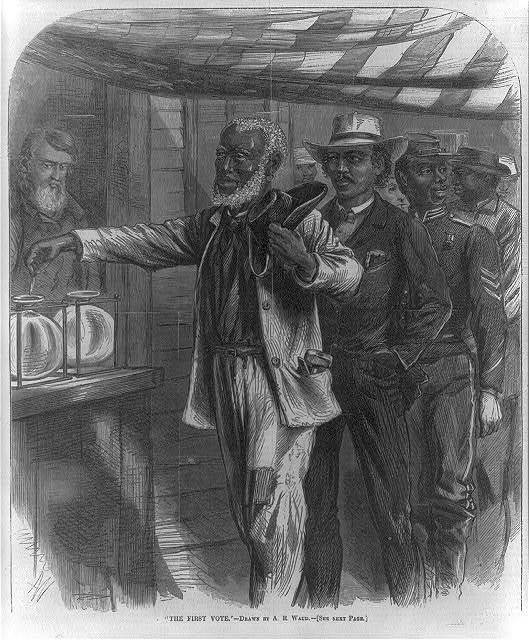 “The first vote,” 1867, wood engraving by Alfred R. Waud, Harper’s Weekly, courtesy of the Library of Congress Prints and Photographs Division. Unit Ten: Freedpeople and the Republican Party introduces the alliances and tensions between freed people and the Republican Party after emancipation. The Unit Ten educational documents listed on the left feature excerpts of various primary source documents and first hand accounts that clarify these shifting political alliances in North and South Carolina.